I’m finalizing details for my next book release, “Becoming Frozen: Memoir of a First Year in Alaska.” This project has been more than four years in the making. It began as an attempt to tell my own “love story” about Alaska, and how a rash decision to follow my then-boyfriend to the 49th state completely changed the trajectory of my life. In August 2005, while on the verge of ending a failing long-distance relationship, I suddenly and inexplicably decided to quit my job and move to Homer, Alaska, where I landed work at a weekly newspaper. The boyfriend and I loaded up my 1996 Geo Prism and drove 3,200 miles north without an idea of where we’d live or what we’d do once we arrived. By the end of our first day in town, we’d nearly run my car into a moose, agreed to rent cabin high on the bluff above town, received a job offer from an oyster farmer, and accepted his help in breaking into our new cabin, for which we didn’t yet have a key. It was a crash course into our unconventional new life at the End of the Road. In November 2005, I started keeping an online journal about our adventures. For a long time I’ve wanted to expand on those early blog entries that detailed the unique culture and challenges of life in Homer, as well as my first ventures into endurance sports. A decision to take up the odd and almost-entirely-unknown sport of snow biking and enter a 100-mile winter race called the Susitna 100 came every bit as suddenly and inexplicably as my decision to move to Alaska, and baffled everybody I knew. Now ten years have passed, I’ve moved away from Alaska, and a lot has changed. But endurance racing, especially Alaskan endurance racing, is still a huge part of my life and my identity. I started working on this book in 2011 as an effort to explore this journey. Because language generally does a poor job of shining light on abstract concepts, the book wandered off in many directions, and at one point I scrapped everything I had written — except for the old blog entries. I decided to go back and expand on these entries more simply and directly, with a straightforward story of discovery and adventure. It’s not everything I’d hoped it would be in terms of a sweeping love story about Alaska, but I believe it illustrates why Alaska — and endurance racing — are so alluring, and how they can change the life of an innocent cheechako (Alaskan for “new-comer”) who was deep into a quarter-life rut and tired of being afraid all of the time. 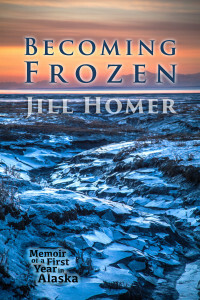 “Becoming Frozen: Memoir of a First Year in Alaska” will be released Aug. 17. 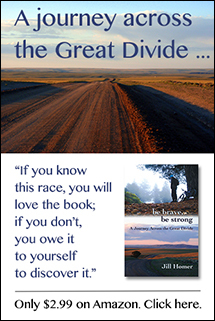 The eBook will be available at Amazon.com, and the paperback will be sold at various online booksellers. Signed copies will be available as well, with a link posted here soon. Pre-orders of the eBook are available now at Amazon.